We offer the following educational dice and related products. Some are kept in stock, and others may be special ordered. Are you part of a homeschool family? Drop in and ask about our specials for homeschoolers. This set of educational dice is great for improving geographical knowledge, as well as stimulating imagination and creativity. 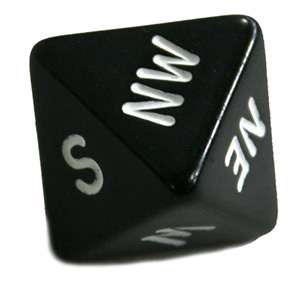 Roll all five dice, and you’ll be on one of the seven continents, in one month of the year, on one day of the week, at one hour of the day, and facing in one direction. Where are you? What do you see? What do you hear? What do you smell? What are your surroundings? These 22mm dice are great for teaching colors. Each die has one side each of yellow, red, blue, green, black, and pink. These 22mm money and decimal dice are excellent tools for helping kids learn to differentiate different coins and, later, learning to add money and make change. Each money die has one side each of 1 cent, 5 cents, 10 cents, 25 cents, 50 cents, and 1 dollar. 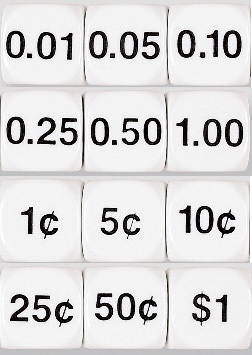 Each decimal die has the corresponding amounts in decimal, but without symbols. 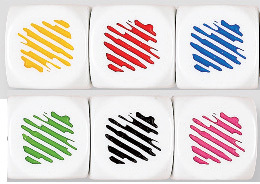 These foam dice are available in 16mm, 25mm, and 50mm sizes. 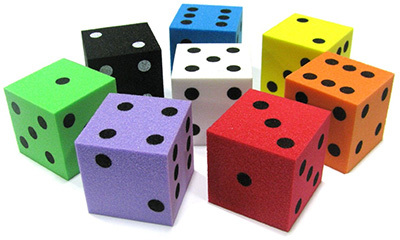 Foam dice are great for classroom settings because they minimize the noise level when several people are rolling dice at the same time. 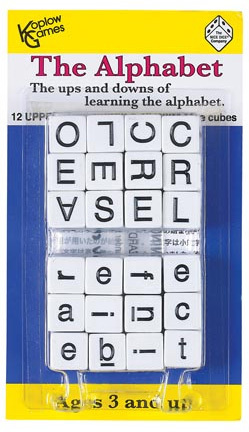 This set of alphabet dice includes 12 uppercase cubes, 12 lowercase cubes, and an instruction page with games and activities. Plan a virtual trip around the world, a real trip around your neighborhood, or create a virtual world with these compass dice! 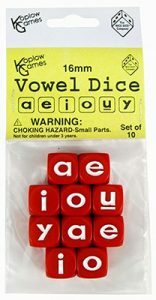 Liven up a language arts or spelling lesson with vowel dice!